Nowadays, people are always talking about how important it is to have a good website, and when 71% of consumers now research a business online before purchasing, you can see why. Yet, it is surprising how many reasonably sized organisations have websites which still leave much to be desired, that don’t perform very well, and that must make them cringe ever so slightly. Indeed, you might even argue in some cases no website is better than a bad one. A website represents the status and position of a company and with so many other companies spending such a considerable amount of time and resources in the constant race to outdo one another, how can you afford not to? The simple answer is, you can’t. Ever heard the saying looks aren’t everything? Well when it comes to websites this isn’t necessarily true. Research shows that consumers form an opinion about your website within 0.2 seconds of looking at it. And when such a high proportion of web traffic comes from search engines, a user’s first impression becomes ever more critical. You only have a few seconds to engage them before they return to Google, or whichever search engine they have come from, and move swiftly on to a competitors website. 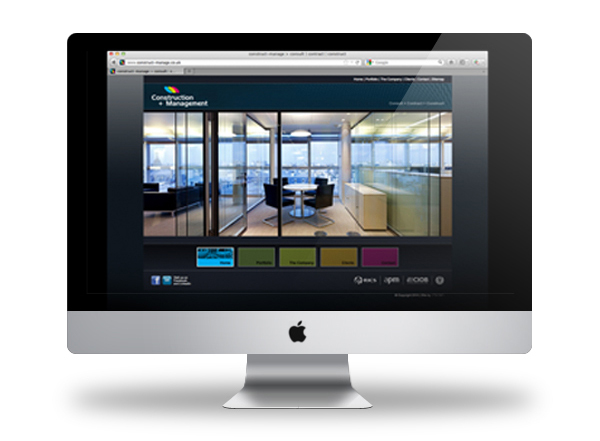 An attractive website is essential in helping secure client interest and enticing sales. My top tip when it comes to creating a website is to keep it simple. That applies to design, content and navigation alike. It is important to ensure that ALL of your customers will be able to easily navigate your website and understand your messages. You don’t want to distract them with an over-complicated design or system. Furthermore, you don’t want to bore or confuse them. Writing interesting, engaging, yet easy to understand content can be the hardest task, especially once search engine performance is thrown in to the mix too. Whilst the owner or manager of a business is of course more likely to know more about the business than anyone else, sometimes this can make writing content more problematic, not only because they lack the professional skills to write for the web, but moreover because their expertise can cloud an objective view. They inherently look at the business from an internal, rather than customer perspective and it is easy to get caught up in technical jargon rather than forming clear, concise text written for the audience it is designed for – an essential task when there is limited available space to capture your audience’s interest and incorporate all of the key search terms. Many people think there is a silver bullet when it comes to search engine performance; that if you know and apply a few tips and tricks then you will soon find yourself at the top of the Google listings. Whilst this may have been true in the past, nowadays search engines are far too intelligent; they have wised up to the old tricks and made search engine spamming a fruitless endeavour. In fact, those that persist with these dishonest methods are now blacklisted by the search engines, so trying to cheat your way to the top may result in your website not appearing at all – now that really could be disastrous for business! The only magic formula you can rely on is good solid methodology: a thoroughly planned, well-built regularly-updated website with appropriate content and metadata, and a good level of traffic. In all of this, attention-to-detail is key. Everything written or designed on your website should be done with the search engines in mind. Even the seemingly pointless things, like naming an image or including an image alternate text description, can make a real difference to your ‘searchability’. And remember, the more searchable your website is, the more traffic you receive, and the more traffic your website gets, the higher it will feature in the search engine rankings. It’s one virtuous circle. In contemporary times, with constant innovation in the technological arena and fast-moving consumer needs, what sets a good website apart from its competitors is its ability to be equally dynamic. Continuous updates and improvements are essential, not just for maintaining customer interest and consistency with your organisation’s ever-evolving image and messages, but also for search engine performance. Those websites left to fester will soon plummet down the search engine rankings, especially since more and more websites are being regularly updated. That means when having a website designed, how, when and by whom it will be updated is an important consideration. Hence, content-managed systems (CMS) are becoming increasingly popular. The impact of new laws, such as the Cookie law, are also key. Being aware of changing legislation and making sure your website can be adapted accordingly is not only good practice, but a legal requirement. Ultimately, the key to creating and maintaining a good website lies in the planning. You have to work out how to optimise search engine performance and consumer interest, and keep doing so moving forwards. Planning is essential in doing this both successfully and cost-efficiently. In the digital age of today, businesses can’t afford not to have a good website. By following these simple steps and working with the right web design partner, you will not only create a good website for your organisation, but brilliantly effective one which reaches your target audience, creates the right image for your business and provides that all-important competitive advantage.